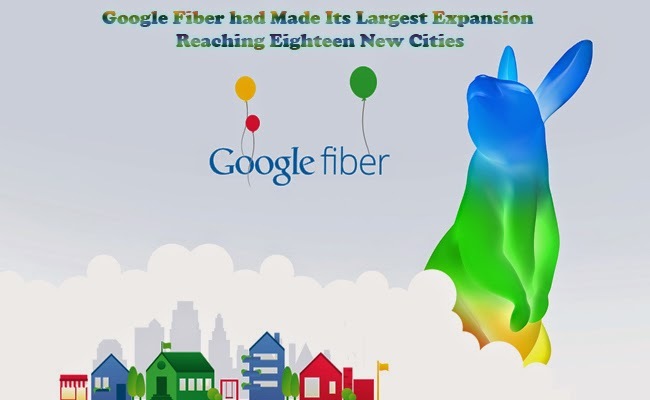 Google Fiber had made its largest expansion of gigabit network yet reaching eighteen new cities including Atlanta, Charlotte, North Carolina, Nashville, Tennessee, and Raleigh-Durham. Fiber had been servicing the areas of Austin, Kansas City and Provo. The other cities waiting for the expansion of Google Fiber include Phoenix, San Antonio, Portland, Salt Lake City and San Jose. Google shared that it aims to bring service to these areas before the year ends. It might take some time before Google finally expand to more areas but it most likely will reach out to the areas where they find more demands for their service. Also, Google would still have to work out where they will put their fiber lines around the city by burying them fibers. Google Fiber is promising the fastest internet service ever made available. It assures quicker downloads and other digital conveniences through fiber optic connections to the homes of the consumers. Google Fiber promises 1000 Mbps which makes it 100 times faster than the basic speed offered by other broadbands. There would be less time buffering, faster uploads, more quality video calls, no lags in online games and high speed downloads. It also offers more than 150 channels and a smart search is also offered for consumers to find their favorite programs and discover new ones. With high speed internet and great TV service as offered Google needed to face some legal issues such a the need to install large boxes with dimensions of 12 feet by 28 feet around the city to cater for homes. It is a large sized box usually around in public streets.